Have you ever had burning pains in your stomach, but were not sure where they came from? Dr. Oz asked for an Assistant of the Day to help him explain what causes your pain and what you can do to make it go away! From when it happens to how it feels, Dr. Oz says your stomach pain reveals clues to its cause, so it is important to pay attention and listen to your body. 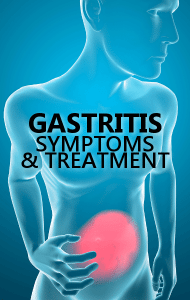 There are several causes for Gastritis, including alcohol and coffee, which can literally lead to holes in your stomach that then cause a burning pain and nausea that lasts all day long.